The concept album that, a few decades ago, started the incredible fuss over the musical. Scene from the original Paris production of the stage musical, before Cameron Mackenzie realised its potential. Unfortunately, his version (with a new lyricist) increased the sentimental and dirge-like content of the original. The all-singing, over the top 2012 movie version of the London - Broadway musical. Riachard Lester's first Beatles' musical A Hard Day's Night is rightly regarded as a landmark in 1960s moviemaking in general and movie musicals in particular. However, the movie is not as revolutionary as it first appears. Lester used many of distinctive features of Hard Day's Night in a pop musical he made a year earlier - the unheralded It's Trad, Dad (Ring-a-Ding Rhythm in the USA). The rapid cutting, gritty settings, rapid pace, and above all, the fascination with the relationship between fans and their musical idols are all on display in the earlier film. 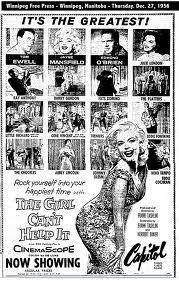 An even earlier film, 1957's Expresso Bongo, had also focussed on pop stars and their interaction with fans, and, like, Hard Day's Night, emphasised the unglamorous surroundings of the pop music world. 1938 exhibition condemning 'unGerman' music and musicians. Greta, the ambitious aspiring cabaret singer in "Generation War". Charlie and his Orchestra - a German swing band established with the support of Josef Goebbels. The 2013 German Tv series Generation War, released in the USA and some Europeran countries in cinemas, places considerable emphasis on the appeal of jazz/swing music to its five main characters. One of them is, initially, a jazz musician; another is determined to become a successful vocalist in the torchy Marlene Dietrich style. The only problem was that in the Thrid Reich jazz and swing was officially prohibted as inferior music associated with negroes and Jews. Yet such music remained popular throughout the war. A Juke Joint, one of the vital sources of rock 'n' roll. Sometimes called a Barrelhouse. Juke Joints were houses, sheds, or outbuildings in the southeast USA, offering drinking, music and companionship. 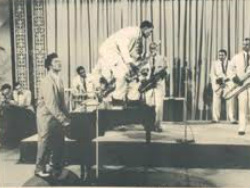 Supposedly run for and by African-Amercians, but the young Elvis Presley and other white musicians were known to attend or at least listen to the performances. The movie headlined a mix of white, black and Latino performers. 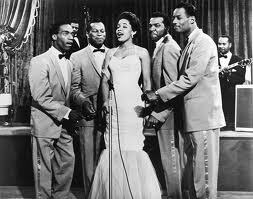 The Platters, a black vocal group featured in 'Rock Around the Clock'. Their blend of too-wop and r &b became increasingly popular with white audiences. They were part of the movement of 'race' music across color lines. 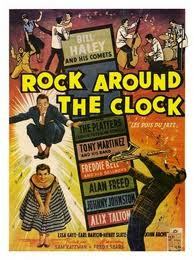 This movie was from the same producer and director of 'Rock Around the Clock'. 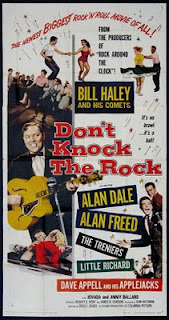 Bill Haley and his Comets had an even bigger role,musically and dramatically, in this attempt to take advantage of the popularity of 'Rock Around the Clock'. Black performers such as Little Richard figired prominently in this movie, which significantly emphasized their popularity with white audiences. 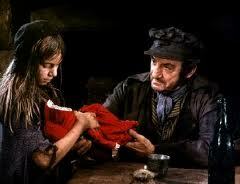 The Girl Can't Help It - the best rock 'n' roll movie ever? Paul McCartney insists that 'The Girl Can't Help It' is the best rock 'n' roll movie ever made. 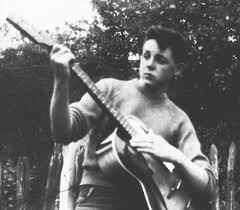 McCartney joined John Lennon's band after Lennon was impressed by McCartney's performance of a song from the movie, which Lennon also admired. The movie contains brilliantly-filmed performances by such rock 'n' roll greats as Fats Domino, Eddie Cochran, Gne Vincent and Little Richard. Capitol Records used the movie to advertise the singers and groups its featured. 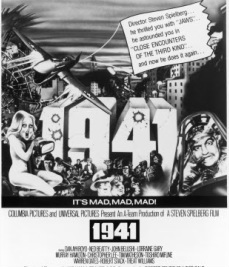 The jitterbug dance competition in '1941' highlighted Spielberg's virtuosity. 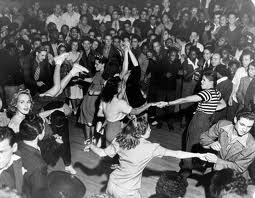 Harshly condemned at the time, the jitterbug /swing contest is frequently cited as the highlight of '1941'. 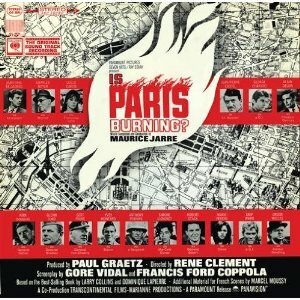 `Maurice Jarre's music for Is Paris Burning? Jarre in the 1960s, when he wrote the music for the film. Jarre's music for "Is Paris Burning?" 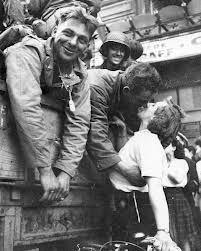 capture both the sense of romantic liberation of the events and the ominous danger that preceded the scenes of triumph in Paris. Réne Clément's movie about the liberation of Paris in 1944 received a hostile reception that iMaurice Jarre's intriguing music for the 1966 film has remained relatively neglected. However, many admirers of the composer's work regard the soundtrack album as shamefully neglected and regard it as worth ranking alongside his work for Dr Zhivago and Lawrence of Arabia. The music is a successful blend of the martial and the romantic. It has wistful snatches of Parisian popular ballads alongside stirring marches, best exemplified by the Overture. The music includes a lilting waltz - one of Jarre's best compositions. 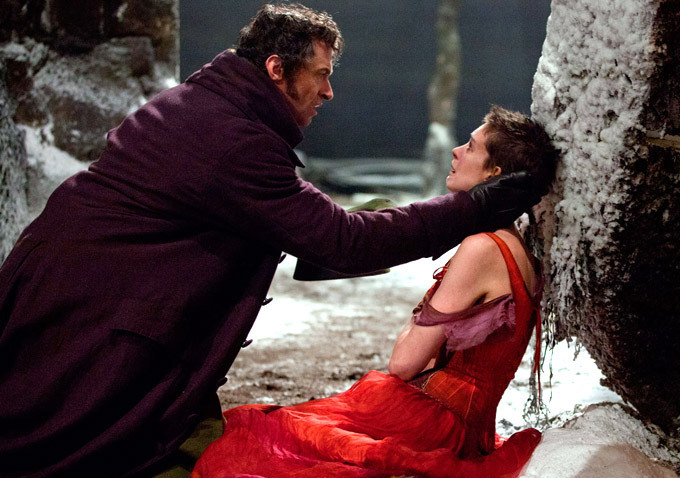 The origins of the 2012 movie of the stage musical Les Misérables can be traced back to 1980, when the French ream of composer Claude-Michel Schonberg and lyricist Alain Boublil (above right) produced a best-selling concept album (above left),which was then transformed into a atage musical that ran for some months in Paris. It was not until 1985 that the reworked English-language version was staged, with new lyrics by Herbert Kretzmer.